The Kirkham School of Dancing opened in March 1971 at St. Joseph’s Church Hall, Pickering. Angela opened the Kirkham Henry Performing Arts Centre together with Jennie Henry in 1989 . 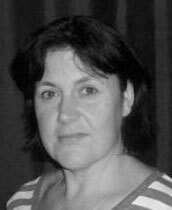 Angela has worked over the years as an adjudicator for Dance Festivals/ Choreographer on touring shows, choreographing children’s ballets for summer schools, directing Ryedale Youth Theatre for 26 years, coaching ballet children for examinations and auditions throughout the country and coaching male dancers for the Billy Elliot school. Angela has also taught under-privileged children, who did not want to do anything with their life, to dance and be proud of their achievements. She also teaches senior citizens to help them stay young and mobile. this includes a dance for Parkinson's class in York. She believes in a strong ethical approach to teaching and has a renowned pastoral care system inplace. 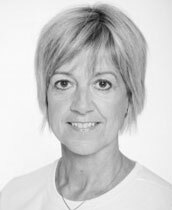 Over the 46 years that Angela has been teaching she has trained thousands of students to professional level, many of whom are now performing in musical theatre productions in the West End and on tour, on Cruise Ships and in The Royal Ballet Company and ballet companies across the world. Others have chosen to become professional musicians, theatre technicians, stage managers, teachers of dance, music and musical theatre etc. or to study for alternative careers at Universities and colleges throughout the UK with the help of the transferrable skills taught at Kirkham Henry. 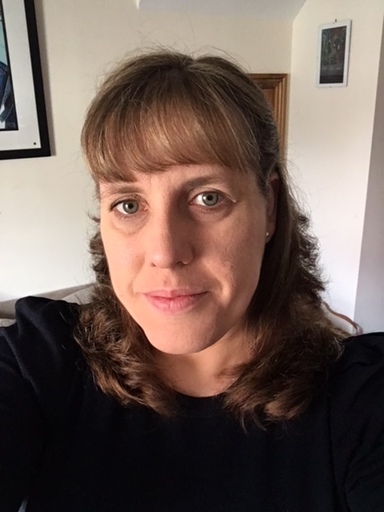 Joanne assisted in teaching and quickly realised she would like to make a career out of it. She studied for her Associate IDTA Teaching Examination under Miss Angela and passed with flying colours. Joanne teaches Ballet Tap and Theatre Craft from age 2 upwards. Jo is joint head of our lower school. She has choreographed Malton Pantomime since 2003 and Assists in the Dance for Parkinson's programme. Higher Level Teaching Assistant and Supply Teacher – I provide cover for teachers’ PPA time across the school – currently in years 1,2,4 and 5. I primarily teach Music and French to the classes. I run the school productions, directing, choreographing, and musical directing the year 5/6 production in the Summer Term each year for the past 4 years. I lead singing assemblies once a week and have run various choir/ musical theatre clubs. I have provided supply cover for all year groups from Reception to year 6. Year 3 Class Teacher – part time post maternity cover. Year 2 Class Teacher – part time contract plus supply cover. General Teaching Assistant – Working with Year 5 and 6. Wonder Years Out of School Provision, Wigginton. August 2009, 2010, 2011, 2012, 2013 : Activity Leader - Play in a week holiday activity for 3 to 11 year olds. We rehearsed and put on a play from scratch over the week culminating in a performance for families at the end of the week. Easter holidays of 2009: Activity Leader - Drama and music workshops. Playgroup Assistant – setting up and supporting learning through play activities. Right to Read Project Officer - a joint project between York Library Services and Social Services to promote books and reading to Looked After Children and foster families in York. The work was with babies to 16 year olds in foster care and care homes within York. Year 3 and 4 Class Teacher (3 ½ years) – I also lead whole school singing once a week and the school choir. I taught music once a week in the nursery unit and helped with the music for the Nursery and KS1 Christmas plays and musical directed the LKS2 Easter plays. Age 16 - 18 Member of Oxfordshire Youth Chamber Choir, director Peter Hunt, creator and editor of the renowned Voiceworks series for choirs. A national youth choir that met 3 to 4 weekends a year to rehearse and perform. Included singing annually at the Royal Albert Hall for the weekend with Methodist Youth Clubs, performing on Songs of Praise twice and a live Christmas Day performance on the BBC in a cold barn in the middle of a field!, tour of Ireland and reunion concert. Recorded 2 CDs with the group – the first was a studio recording in Manchester where I was invited to join just a small group of singers as they were limited on space. 4 year course including Qualified Teacher Status - Performance element voice and oboe. 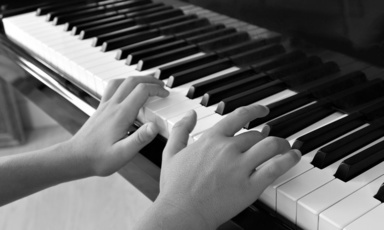 Also continued my piano training working to grade 7/8 standard at that time. Directed, musical directed and co-ordinated Methsoc (Methodist Society) musicals at University for 3 years. Working with students aged 18 – 25. Performing member of York Light Opera Company since 2002 and at least 17 years amateur theatre experience on and off the stage. Including helping to train and rehearse the young people in The Likes of Us, The Sound of Music and Oliver and serving on the Management Committee holding the roles of Membership Secretary and later Secretary, selecting and casting shows and even being in charge of the puppets for Avenue Q! Musical Director course – NODA (National Operatic and Dramatic Association) Summer School studying Barnum over the week. Sophie performed in many competitions and amateur productions including: The Nutcracker (Clara); Cinderella (Summer Fairy); Coppélia (Prayer), Giselle (soloist in the Dance of the Wilis); Snow White and the Seven Dwarfs (Sleepy); Robin Hood (one of his merry men); Starlight Express (Nintendo); CATS (Rumpus Cat); FAME (Iris) and Oliver (Bet) to name a few. Sophie has enjoyed the past three years in London but pleased to be back up North teaching at Kirkham Henry. 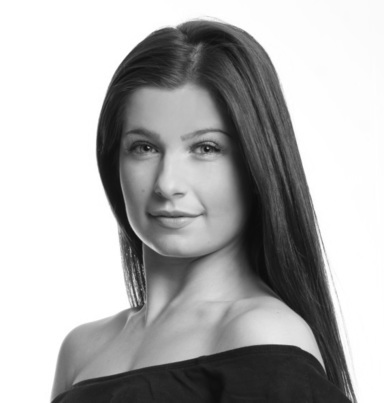 Sarah is a former pupil of Kirkham Henry, attending from an early age up until sixteen, when she continued her studies at Brian Rogers Performers College, Essex. During her time there she took part in many Royal Variety and Palladium performances, charity events, backing vocal recordings and some hair modelling contracts. 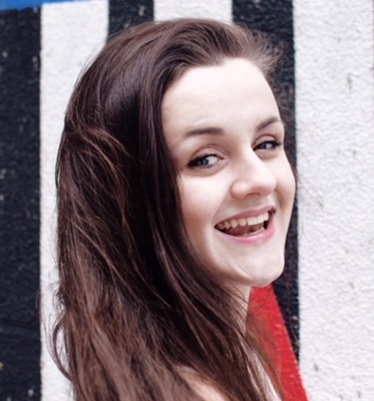 Sarah has choreographed extensively for shows and demonstrations and is a regular attender of ‘MOVE IT' London. Credits include The King and I’, ‘Crazy for You’ and ‘The Wiz’ and was also fortunate to be chosen to appear in stage versions of Rhoald Dahl’s ‘Matilda’ and Andrew Lloyd Webber’s ‘Evita’ both at The Grand Opera House, York. Andrew took his love of performing arts to Huddersfield University where he gained a BA (Hons) in Theatre Studies and then to Bretton Hall, Wakefield to complete a secondary school teaching certificate specialising in drama. 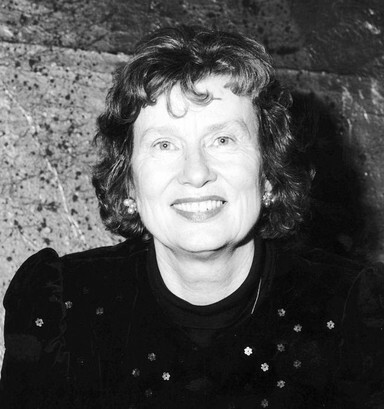 She had been closely involved for many years with York and Ryedale operatic societies both as a performer and ‘out front’ as chorus mistress and musical director. Extensions of Jennies work have reached as far away as West Africa where her first post as musical director was made in association with the British High Commission in Gambia. She has worked on LES MISERABLES, MISS SAIGON and MARTIN GUERRE, all for Cameron Mackintosh, along with many of the other big West End musicals, in London and on tour in Dublin and across the North of England. 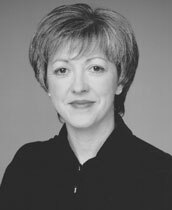 She was pianist for no less than five EUROVISION SONG CONTESTS for Ireland, including the one that launched Riverdance. She has worked with orchestras throughout Scandinavia and Germany as well as the UK’s City of Birmingham Symphony Orchestra, Royal Liverpool Philharmonic, Royal Philharmonic Orchestra, Orchestra of Opera North, BBC Scottish Symphony and London Concert Orchestra, in concerts with some of the biggest names in the business. 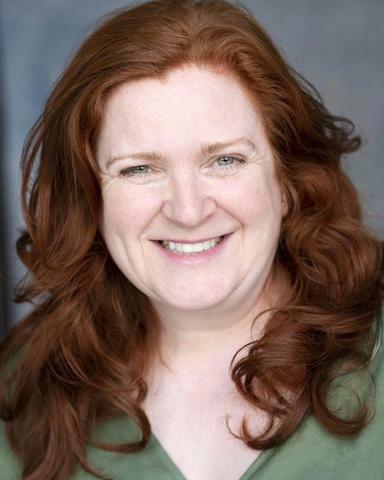 Madeleine has lectured in Musical Theatre at the Gaiety School of Acting in Dublin and has continued to work as a vocal coach to professional and amateur performers alike. She recently became Musical Director of Ryedale Choral Union. Miss "Kyla" has also had more than 6 years professional Gymnastics training and was part of the York Olympic squad for 3 years. She will be assistant to our Gym coach, George. She has taken many leading roles in local productions over the years and now choreographs for the local pantomime. Miss Angela says: “Miss Kyla is like Super Nanny as she has such an amazing way with the very young children”. 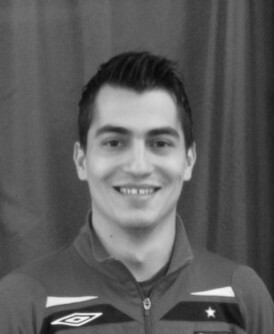 A lack of funding meant that George had to secure employment and at the age of 16 he successfully auditioned for a place with Circus Globus – the prestigious National Circus of Bucharest. George further developed his gymnastic skills and mastered the notoriously difficult Russian Bar and Spring Board acts. Already wanting to further his career, George was head-hunted to learn a new skill known as ‘Hand to Hand’. In 2007 whilst contracted for the same cruise company, he met his future wife who we all know as Miss Rebecca. They continued to cruise together and perform in the production shows on-board for the next 5 years. After settling and buying a house, George is delighted have been introduced to Kirkham Henry and for this wonderful opportunity to pass on his extensive gymnastic talent through gymnastic classes for pupils of all ages. She was specially chosen to demonstrate at the NATD, BBO and the Molly Lake awards and the Jimmy Carr Live Tour. Rebecca graduated in 2005 as Head Girl. Her extensive cruise ship career began with Costa Cruise Lines and continued for the next 8 years, working with Costa and MSC cruise companies as a production Dancer, soon becoming Lead Adagio and later Dance Captain and Production Manager. Rebecca is thrilled to be back at Kirkham Henry fulfilling a love and passion for teaching dance she has choreographed for MNMT Panto for numerous years now. To further her training she studied for three years at ‘The London Studio Centre’ under the direction of Margaret Barbieri and Anita Young for Ballet and Marcia Taylor-Brooke for Singing and appeared in ‘Dance Overture ‘91′ for Prince Edward at The Royalty Theatre, ‘92 at The Wimbledon Theatre; ‘93 at Salder’s Wells; Equity ‘91 at The Jeannetta Cochrane Theatre and Best of the Assessments ‘93 at The Shaw Theatre. Catherine has also worked for Yorkshire Television appearing in ‘Book Tower’, ‘Darling Buds of May’, ‘Emmerdale’, ‘How We Used To Live’, ‘Stay Lucky’ and other productions. She furthered her studies taking a three year Ballet teaching course with ‘The Royal Academy of Dance’. All three of Barbara’s children trained at Kirkham Henry and are now working professionally in the world of music, dance and TV. As a result of the many hours spent waiting for her children to finish classes, Barbara became involved with the Friends of Kirkham Henry and Ryedale Youth Theatre, with whom she has enjoyed working for over 20 years. In 2002 she decided to fulfil her ambition to gain a degree and embarked upon a 3-year full time course at York St. John University. Since graduating in 2005 with a B.A. Hons Degree in Communication Arts, specialising in Drama, Barbara has thoroughly enjoyed putting her years of experience and knowledge into practice by teaching the wonderfully talented students at Kirkham Henry Performing Arts. BA Hons performing Arts, MA in Theatre and writing. She has appeared in film and on television many times including the programmes Coronation Street, Hollyoaks and Heart Beat. You may have seen her most recently in Emmerdale and in Fashion World Advertisements. 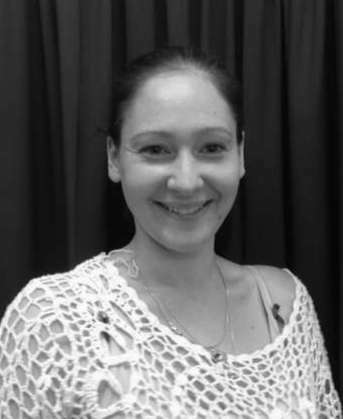 Audrie began teaching in 2001 and is one of the Uk’s leading mask theatre practitioners, working with renowned companies including The Royal Shakespeare Company and Trestle. 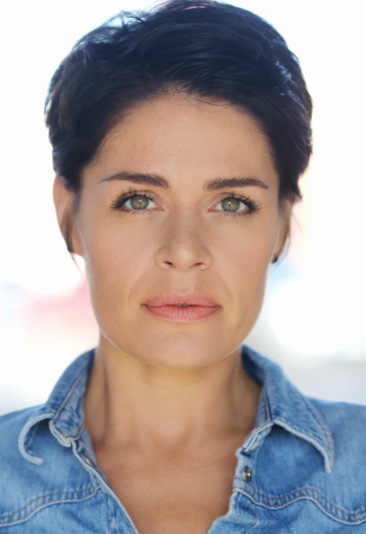 As a freelance acting coach Audrie coaches performers of all ages in Schools, Colleges, Universities and Theatre Companies and is proud to have an excellent track record in preparing students for success and longevity in the industry. Audrie has a Masters in Writing, Directing and Performance from the University of York where she gained Distinction and was awarded the prize for highest achievement, BA honours Degree in Performing Arts from Middlesex University and a Diploma in Musical Theatre from The London School of Musical Theatre. Chloe first began her training at Kirkham Henry Performing Arts aged 4 and took part in many showtimes, pantomimes and Ryedale Youth Theatre Productions. She later trained at the University of Leeds/Bretton Hall in Theatre and Performance where she gained her degree and during this time she set up a new theatre company “203 Theatre”. Within this theatre company, she wrote and choreographed a new musical which won “Best New Show” Derek Award at the Edinburgh Fringe Festival. After leaving Kirkham Henry, she ventured to New York to teach Musical Theatre where she took the role of Head Dance Specialist for 6 months returning the following year as Head Drama specialist. She has then freelance taught musical theatre both in the UK and Overseas and spent a duration teaching Drama and English Language in Italy. Previous to this, she has choreographed and directed many local productions as well as for York and Leeds companies and created a Theatre in Education tour for West Yorkshire County Council. As well as teaching, Chloe is a keen fundraiser and has raised over £17,000 for Cancer charities winning the Bright Young Star - Pride of Malton award for her efforts. 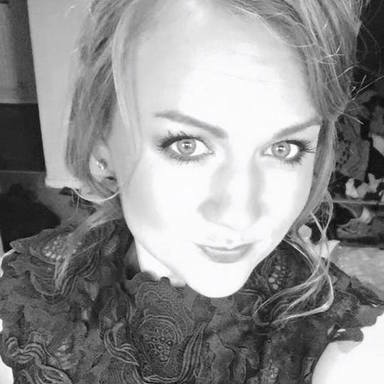 Chloe now is a Performing Arts teacher at a local Secondary School after gaining her PGCE from the University of York and is based back in Malton teaching. Music teacher of clarinet, saxophone, flute, oboe, piano and music theory. Trinity exam boards with great success. Responsible for all Music and Performing Arts Activities. Telephone and on line orders for sheet music. Responsible for administration of online ticketing and setting up shows on computer. Also staffing and finance. 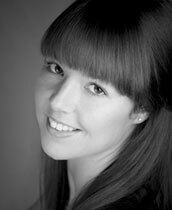 Martha started Kirkham Henry Performing Arts when she was 5 years old, taking part in a variety of classes. She became a Louise Browne Yorkshire Ballet Scholar, was a regular Festival dancer and took part in eight Ryedale Youth Theatre productions. At the age of 14 Martha developed a passion for Contemporary Dance and successfully auditioned for the Centre for Advanced Training (CAT) scheme at Northern School of Contemporary Dance (NSCD) at the same time she was invited to join Phoenix Dance Theatre's Youth Academy, where she performed at the Olympic Torch event, Phoenix's 30th Birthday Party Concert and with Artists North's production of Mandala. In 2012 Martha started her full time vocational training at NSCD where she completed the Access, BPA (Hons) and MA courses. During this time she had the opportunity to tour the UK, Austria and Switzerland with VERVE17. 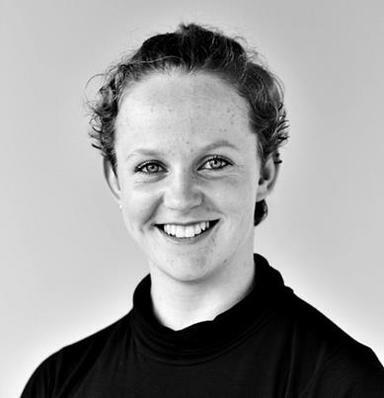 Since Graduating Martha has taught in various dance schools around the North of England and partaken in research and development session with Avant Garde Dance Company. 2016 - Present: Eaglei Training. Providing specialist voice and body language sessions for industry. High Impact communications sessions and individual training plans as well as ‘presenting skills’ workshops for both live and recorded sessions. 2015 - Present: Presenter/Archaeologist Op Nightingale Heritage and Services Archaeology and Heritage Association (part of the Soldier On charity). Working with injured serving armed forces personnel and veterans, presenting YouTube videos and helping on archaeological digs throughout the UK. 2014 - Present Actor/teacher StageCentre and Lynx Education. Plays in a day with primary schools, leading workshops, directing short plays and ensuring performances are ready for end of school day. July 2010- Present: Professional Singer. A variety of work from solo cabaret to performing in rock bands. Styles from easy listening, musical theatre, rock, pop, to indie and light opera. Professional acting work for TV, film and theatre (theatrical CV available on request). 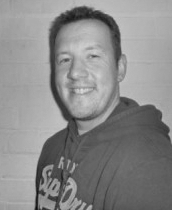 Work includes roles on Coronation Street, working with Middlesbrough Theatre, Stephen Joseph Theatre Scarborough etc. 2015 - 2016: Workshop Leader Little Monkey's Music and Movement. Leading music and movement sessions for preschoolers. Planning and delivering sessions, keeping session reports and paperwork, ensuring health and safety of participants. March 2006 - July 2010: Working with Llyndall Trotman School of Singing. Assisting singers in preparing for auditions and performances. August 2004 - 2006: Course Leader BTEC National and First Diplomas in performing arts at Runshaw College, Leyland. Taught A level Theatre Studies and Performance Studies. Wrote and developed BTEC courses (first and national diplomas) with 100% achievement and retention. Directed Summer Holiday, Little Shop of Horrors, The Crucible, TIE projects, Our Country’s Good and A Midsummer Night’s Dream (amongst others) as well as planning and delivering courses to students aged 16-19. October 1998 - August 2004: Community Development Worker/Lecturer, Bowling Community College. Ran GCSE Drama, NCFE Performing Arts, computers for beginners and Care Activity Organiser courses. Managed holiday play schemes for young people aged 5 – 16. Co-ordinated the college’s part in the European Leonardo Project providing sports and arts opportunities to young people from disadvantaged backgrounds. Assisted with delivery and planning of Junior Sports Leaders Award. Worked with local drama groups and primary schools teaching drama as well as performing with Usher Street Theatre Company. 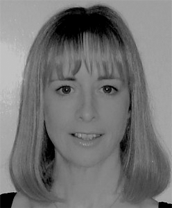 Sarah-Louise has worked extensively as both a dancer and singer in both theatre and television. Her credits include: Cinderella – The York Grand Opera House, Best Foot Forward – Epsom Playhouse, Aladdin - Sunderland Empire Theatre, Queen Mother’s 100thBirthday Celebrations – London, M/V Ocean Majesty – Dancer, An Evening with James Bond – UK Tour, M/V Ocean Majesty – Singer/Dancer, QE2, Broadway Bound NY – Dance Captain, World Cruise. In January 2006 founded the Sarah-Louise Ashworth School of Dance in Kirkbymoorside. Samantha was brought up in Malton, North Yorkshire and trained at Kirkham Henry Performing Arts (her mother’s school) before joining The Royal Ballet School. She was awarded the Kenneth MacMillan Choreographic Award in 1995 and the first Dame Ninette de Valois Award in 1998. She joined The Royal Ballet in 1997 and was promoted to Soloist in September 2006. 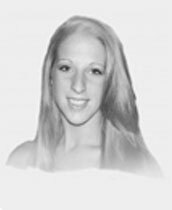 Sam became Ballet Mistress to the Royal Ballet Company in 2011. Pippa started her training at Kirkham Henry Performing Arts centre in Malton, and went onto Laine Theatre Arts, Epsom, Surrey where she received the Laine Award for the most potential in the field of Dance. 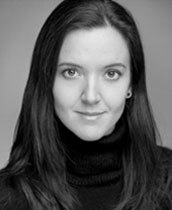 Pippa Has appeared in many West End shows and is also a qualified pilates teacher.